In this three post series I will reveal my white Kor deck. The rule will be effective from 1 July 2011. 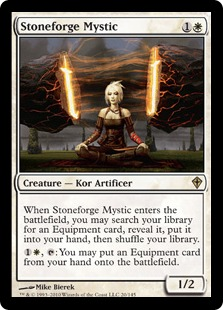 Down: Stoneforge Mystic will be lacking from my full-Kor deck. I have completed my first battle-ready deck for Magic the Gathering. I call it: Army of Kor. 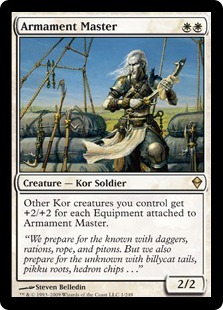 This plains deck is mostly based around the Zendikar Kor Armory and also contains cards from other series. The deck is pure white. It`s legal as standard deck.